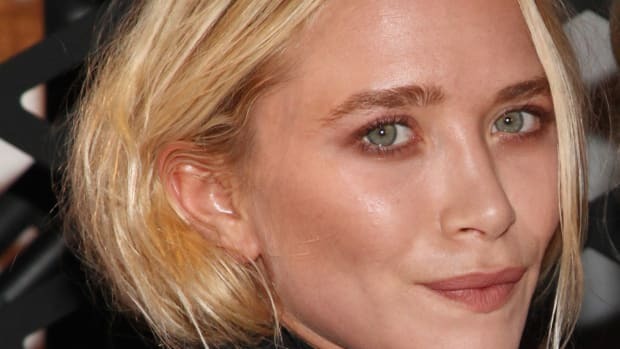 As you&apos;ve probably heard, Mary-Kate Olsen recently got engaged to her long-time beau, French banker Olivier Sarkozy, and the ring that he gave her is pretty spectacular. Not surprisingly, the paparazzi were able to snap 27-year-old Olsen wearing the piece in both New York and Paris (where she attended the Louis Vuitton fall 2014 show) this week, and thanks to some good ol&apos; Internet sleuthing, details about her ring are beginning to emerge. According to PopSugar Fashion, Olsen&apos;s new jewel is a vintage gold, 4-carat diamond and sapphire ring by Cartier that was sold at auction at Sotheby&apos;s for a whopping $81,250, more than $20,000 more than it was projected to sell for. This might seem like a steep price to pay for an engagement ring, but let&apos;s take a moment to remember that Olsen and her twin sister Ashley did design a $34,000 alligator backpack for The Row not too many seasons ago. The ring dates back to 1953, and was purchased in New York on Feb. 6. A rep for Cartier was unable to comment on whether Olsen&apos;s ring is, in fact, this exact vintage Cartier, but either way, it&apos;s stunning. Check it out in all of its sparkly glory below.